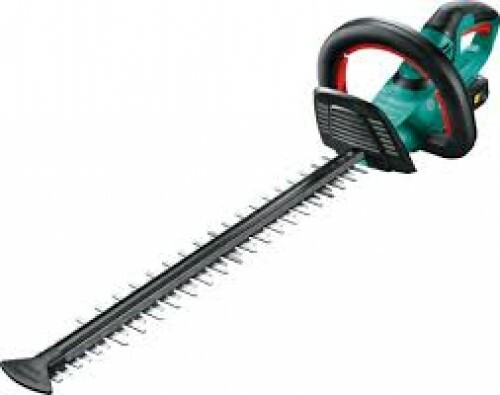 The hedgecutter UniversalHedgeCut 18-500 provides cordless mobility with maximum power. The combination of 500 mm blade length, 20 mm tooth opening and the electronic “Anti-Blocking System” for continuous cutting ensures you’ve got the right garden tool to get the job done. Thanks to the intelligent Bosch Syneon Chip the battery delivers more runtime so that even complex projects are easy to handle. The innovative Quick-Cut Technology ensures that twigs and branches are cut first time round – enabling a quick and efficient hedge cutting. Anti-Blocking System ensures continuous cutting performance, where other hedgecutters stop working. Please note this is not applicable with 4.0 Ah / 6.0 Ah battery packs.